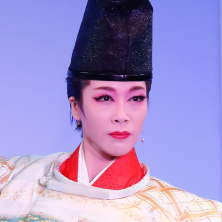 An exciting, exquisite and splendid show of singing and dancing performed by a troupe consisting of women only which started in France and uniquely developed in Japan. 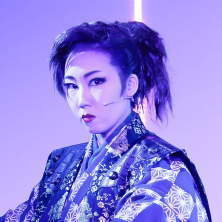 A 45-minute entertainment show of dancing by beautiful oiran (or courtesans) and a sword battle between a samurai and a spider woman for children and adults. 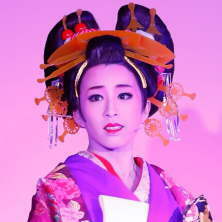 Tickets are available by web reservation and phone reservation, and of course at the theater on the day of the performance. You can enjoy the show even more if you learn the history of revue shows spanning nearly 100 years. 4 min. walk from Shinsaibashi Sta. [M19/N15] of Subway Midosuji line . Only 60sec. from UNIQLO Shinsaibashi. 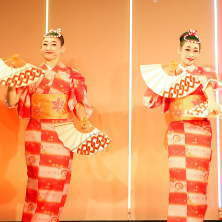 (c)OSK Nippon Revue Company All right reserved. All the information on this site may not be reproduced or altered without the authorization of OSK Nippon Revue Company.